How strong is China’s economy? Outsiders tend to regard China as a paragon of export-led efficiency. But that is not the whole story. Investment spending on machinery, buildings and infrastructure accounted for over half of China’s growth last year; net exports contributed none of it. Too much of this investment is undertaken by state-owned enterprises (SOEs), which benefit from implicit subsidies, sheltered markets and politically encouraged loans. Examples of waste abound, from a ghost city on China’s northern steppe to decadent resorts on its southern shores. China’s economic model is also unfair on its people. Regulated interest rates enable banks to rip off savers, by underpaying them for their deposits. Barriers to competition allow the SOEs to overcharge consumers for their products. China’s household-registration system denies equal access to public services for rural migrants, who work in the cities but are registered in the villages. Arbitrary land laws allow local governments to cheat farmers, by underpaying them for the agricultural plots they buy off them for development. And many of the proceeds end up in the pockets of officials. This cronyism and profligacy leads critics to liken China to other fast-growing economies that subsequently suffered a spectacular downfall. One recent comparison is with the Asian tigers before their financial comeuppance in 1997-98. The tigers’ high investment rates powered growth for a while, but they also fostered a financial fragility that was cruelly exposed when exports slowed, investment faltered and foreign capital fled. Critics point out that not only is China investing at a faster rate than the tigers ever did, but its banks and other lenders have also been on an astonishing lending binge, with credit jumping from 122% of GDP in 2008 to 171% in 2010, as the government engineered a bout of “stimulus lending”. Yet the very unfairness of China’s system gives it an unusual resilience. 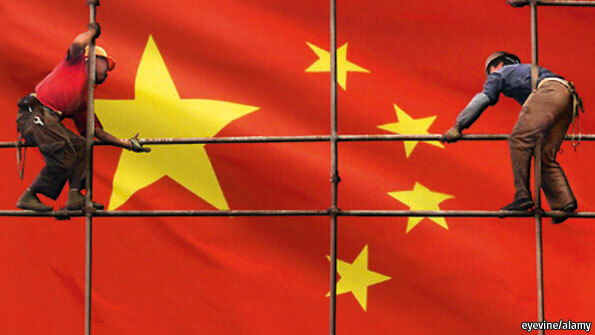 Unlike the tigers, China relies very little on foreign borrowing. Its growth is financed from resources extracted from its own population, not from fickle foreigners free to flee, as happened in South-East Asia (and is happening again in parts of the euro zone). China’s saving rate, at 51% of GDP, is even higher than its investment rate. And the repressive state-dominated financial system those savings are kept in is actually well placed to deal with repayment delays and defaults. Most obviously, China’s banks are highly liquid. Their deposit-taking more than matches their loan-making, and they keep a fifth of their deposits in reserve at the central bank. That gives the banks some scope to roll over troublesome loans that may be repaid at a later date, or written off at a more convenient time. But there is also the backstop of the central government, which has formal debts amounting to only about 25% of GDP. Local-government debts might double that proportion, but China plainly has enough fiscal space to recapitalise any bank threatened with insolvency. That space also gives the government room to stimulate growth again, should exports to Europe fall off a cliff. China’s government spent a lot on infrastructure when the credit crunch struck its customers in the West. But there is no shortage of other things it could finance. It could redouble its efforts to expand rural health care, for example. China still has only one family doctor for every 22,000 people. If ordinary Chinese knew that their health would be looked after in their old age, they would save less and spend more. Household consumption accounts for little more than a third of the economy. That underlines the longer-term problem China faces. The same quirks and unfairnesses that would help it withstand a shock in the next few years will, over time, work against the country. China’s phenomenal saving rate will start falling, as the population ages and workers become more expensive. Capital is also already becoming less captive. Fed up with the miserable returns on their deposits, savers are demanding alternatives. Some are also finding ways to take their money out of the country, contributing to unusual downward pressure on the currency. China’s bank deposits grew at their slowest rate on record in the year to April. So China will have to learn how to use its capital more wisely. That will require it to lift barriers to private investment in lucrative markets still dominated by wasteful SOEs. It will also require a less cosseted banking system and a better social-security net, never mind the political and social reforms that will be needed in the coming decade. China’s reformers have a big job ahead, but they also have some time. Pessimists compare it to Japan, which like China was a creditor nation when its bubble burst in 1991. But Japan did not blow up until its income per head was 120% of America’s (at market exchange rates). If China’s income per head were to reach that level, its economy would be five times as big as America’s. That is a long way off. This week’s two posts illustrate both the slowing economy in China as an example of the BRICS’ cooling off cycle, and the challenges of investing in some of the hottest new markets such as Myanmar. The article below is a very good illustration of issues, which exist in many emerging markets and how these issues counterbalance fantastic business opportunities available there. In the next few months, Princeton Council on World Affairs and Fluent In foreign will present a series of events titled: They WILL be Asking You to Pay Bribes, or How to Deal With Corruption in International Business. The dates for the upcoming events and their venues will be announced shortly. For Zaw Naing, 40, who sells satellite imagery to Myanmar’s government, teeing off on the golf course with any of the former generals running the country is essential to sealing deals. Sometimes, he has to do more. Such business practices pose a hurdle for U.S. companies that may be looking to enter the Myanmar market after President Barack Obama yesterday eased an American investment ban. The U.S. continues to bar doing business with companies linked to the military, which ran the country for five decades, and is watching to see how political and economic reforms develop in the nation also known as Burma. “We say to American business: Invest in Burma and do it responsibly, be an agent of positive change,” Secretary of State Hillary Clinton said yesterday in Washington. Perhaps more than anywhere else, golf in Myanmar separates the elite from rest. A legacy from British colonial rule, knowing how to wield a golf club and who to share a cart with is key to doing business in the long-isolated country that ranks among the poorest and most corrupt in the world. “It’s all about personal relationships; they are still very important,” said Naing, who displays golfing trophies and a framed certificate from Michigan State University, where he studied international development on a U.S.-funded Hubert H. Humphrey Fellowship. American companies in oil and gas, mining and financial services — now free to hunt for investment opportunities –will need to bear in mind that personal relationships in Myanmar may involve more than golf. Only two nations — Somalia and North Korea — are more corrupt than Myanmar, according to Berlin-based Transparency International, which ranks 183 countries based on surveys of entrepreneurs and analysts on their perception of corruption. “We do have such things: bribery, corruption, nepotism, kickbacks,” said Naing. One of the biggest challenges to Myanmar’s year-old elected civilian government is how to free commerce from the former military-regime insiders who’ve had a lock on the country’s resources, such as oil, timber and gems. President Thein Sein, 67, the general-turned-civilian who began opening Myanmar to the West after he took office 14 months ago, is aware of the corruption that’s blighting efforts to develop a country that aspires to be the next Asian Tiger. Still, his economic team sees no quick fixes. “We don’t expect this problem can be eradicated immediately, but we try our best to control, to medicate this problem,” his top political adviser, Ko Ko Hlaing, said in a May 2 interview in Yangon. Myanmar is drawing interest as a resource-rich country with enormous potential now that it is embracing reform. The U.S. Chamber of Commerce, the US-ASEAN Business Council, and the National Foreign Trade Council applauded the Obama administration’s action. “Myanmar’s leadership has made it clear that it welcomes American investment, and in many ways sees it as preferable to that of some of our competitors” because of U.S. standards for corporate responsibility, the three groups said in a statement yesterday. “If I could put all of my money into Myanmar, I would,” said Rogers, who predicted a global commodities rally in 1999. For overseas businessmen trying to establish a presence in Myanmar, potential bribery isn’t the only obstacle. Investors are required by the government to bring at least $500,000, half of it in cash and the rest in assets, according to Thura Swiss Ltd., a Myanmar-based consultancy. The lack of modern infrastructure and financial systems also present a barrier. The U.S. move to ease sanctions was also criticized by New York-based Human Rights Watch, citing the prevalence of cronyism and ethnic strife. Only about a quarter of the population has access to electricity, the Asian Development Bank said in a report last month. One in 30 people has a mobile phone, and less than 1 percent of the population has an Internet connection, Tokyo- based Nomura Holdings Inc. (8604) said in a March 14 report. The fresh coat of white paint on Kuan’s new clothing factory is a contrast to the poverty just outside the gates, where stray dogs sniff garbage along muddy roads with open sewers and a line of aspiring workers stares up at a board with job postings. They peek inside at rows of sewing machines in a well-aired room. To operate his machines, Kuan had to get generators to cope with power outages that can last six hours a day. He also had to find a way to pump and filter water. When he arrived to face all these problems, he couldn’t make calls or send an e-mail. Making the right friends was necessary to navigate a series of unwritten rules in a country with no code of law. Over a cigarette and a can of Coke, Kuan recalled that two weeks after the factory opened, some “local government types started knocking on doors” and asked him for licenses that neither he nor his lawyer, a former judge, thought were needed. He paid them what they asked to obtain the paper document. To reward Myanmar for beginning the transition from dictatorship toward democracy, the U.S. eased sanctions with some reservations. “We continue to have concerns, including remaining political prisoners, ongoing conflict and serious human rights abuses in ethnic areas,” the administration said in a statement. The European Union has suspended most of its sanctions for a year. Still, for the Burmese it’s the Americans that count. Even days before the U.S. action, Zaw Naing says his phone was ringing off the hook with American companies such as GeoEye Inc. (GEOY), a Herndon, Virginia-based satellite-image provider, interested in partnering with him. China’s Car Dealerships Struggle as Stockpiles Increase – time to look Beyond The BRICS? Although BRICS have still have massive expansion potential, entering those countries today is fraught with additional risk and the rewards for direct investors may be more elusive than ever. Last week’s sold out What Lies Beyond the BRICS event produced by the Princeton council on World Affairs and Fluent In Foreign LLC., examined whether the time to invest in the booming BRICS markets has passed and may be it’s time to look at the next wave of emerging smaller markets around the globe. Chinese dealers are struggling with the rising number of unsold cars that’s threatening to deepen price cuts, according to the nation’s biggest automobile dealers’ association. Dealerships for Honda Motor Co. (7267), Chery Automobile Co., BYD Co. (002594) and Geely (175) Automobile Holdings Ltd. carried more than 45 days of inventory as of the end of April, exceeding the threshold that foreshadows debilitating price cuts, Su Hui, vice president of the auto market division at the state-backed China Automobile Dealers Association, said in an interview yesterday. The warning signals that vehicle deliveries reported by companies, which have risen more than analysts’ estimates for the past two months, aren’t fully translating to consumer sales. Demand was the slowest in the first four months since 1998, weighing on automakers from General Motors Co. (GM) to Volkswagen AG (VOW), which are counting on the world’s largest auto market to offset slumping sales in Europe. BYD (1211) fell 4 percent to HK$15.22 at the midday trading break in Hong Kong, poised for its lowest close since Oct. 24, after earlier dropping as much as 5.4 percent. Geely dropped as much as 3.4 percent and Guangzhou Automobile Group Co. (2238), which makes cars with Honda, fell as much as 2.7 percent. An increasing number of small-scale dealers are suffering losses after discounting cars to boost sales, according to Feng Jian, deputy general manager of Pang Da Automobile Trade Co. (601258), China’s second-largest auto dealer by market value. Competition is also leading to consolidation among dealers, Feng said. China Yongda Automobiles Services Holdings Ltd., a Shanghai-based car retailer, plans to raise as much as HK$3.4 billion ($433 million) from an initial public offering in Hong Kong and plans to use 35 percent of the proceeds on potential acquisitions. Honda’s joint venture factory in China shut down for more than two weeks for the Labor Day public holiday and line maintenance, according to the Tokyo-based automaker. The stoppage prompted CLSA Asia Pacific Markets to cut its recommendation on Honda’s partner, Guangzhou Automobile, citing worsening demand. “While we had expected a poor first half, we did not expect to see the market deteriorate so fast that the Honda JV needed to close the factory for 16 days,” Scott Laprise, Beijing-based analyst at CLSA, said in a May 11 report. CLSA this month also lowered its recommendations on Dongfeng Motor Group Co. and Great Wall Motor Co. (2333), citing worsening prospects for sedan makers. China ZhengTong Auto Services Holdings Ltd. (1728) and Baoxin Auto Group Ltd., Chinese luxury auto dealers, canceled plans to sell dollar-denominated bonds on May 16 as yields on Chinese debt in the U.S. currency surged the most since September. China’s total vehicle sales declined 1.3 percent in the January-to-April period, the worst showing since 1998 when deliveries fell 1.6 percent, according to data compiled by the China Association of Automobile Manufacturers, as slowing economic growth and rising fuel prices dented consumer demand. GM, the world’s largest automaker, reported sales growth accelerated last month as demand for its Wuling minivans offset a drop in Chevrolet deliveries. While Wuling helped total growth quicken to 12 percent from 11 percent in March, Buick sales growth slowed to 1.7 percent from a year earlier and demand for Chevrolet vehicles shrank 6.2 percent. Inventory levels at automakers rose 3.3 percent to 757,400 units as of the end of April, the highest in at least 16 months, CAAM data show. Dealerships are holding at least the equivalent in stock, according to Cheng Xiaodong, who oversees auto price monitoring at the National Development and Reform Commission, the nation’s top economic planner. The monthly NDRC survey of 36 major Chinese cities showed average car prices fell 1.9 percent in April from a year earlier, a fourth straight decline this year. Pacific Investment Management Co., which oversees the world’s largest bond fund, said this month that China’s economic growth may slow to the “mid-7 percent range,” a pace unseen since 1999. Economists at Citigroup Inc. and JPMorgan Chase & Co. cut their estimates for China’s economic expansion after April industrial production and trade grew less than estimated and renewed European debt turmoil roiled markets, prompting authorities on May 12 to cut the reserve ratio for the third time in six months. Steeper discounts bode well for consumers shopping for their next drive. It is highly ironic that as our country’s international business community is about to celebrate World Trade Week, one of the hottest political issues involves one of its key players, the Export-Import Bank of the United States and its Congressional reauthorization. We have extensively covered this issue over the last few months on the pages of this blog, but it again boiled to the surface couple of days ago, as the House passed Ex-Im’s reauthorization, but it once again stalled in the Senate, where it was expected to pass without hinderance. What follows below is a collage of articles and comments on the subject from a variety of media sources across the country – both right and left. This issue has split the parties and the comments below range from radical communist, to scary lunatic, to ultra conservative. After reading the articles I felt I was in a circus surrounded by many confused clowns. Yet, two things clearly stand out throughout the entire debate – WE ARE EMBARRASSING OUR COUNTRY BY AIRING OUT THIS DIRTY LAUNDRY FOR POLITICAL PURPOSES; MOST PEOPLE INVOLVED IN THE DEBATE WOULD NOT KNOW AN EXPORT IF IT SAILED RIGHT PASSED THEM IN A CONTAINER AND SHOULD NOT BE INVOLVED IN SOMETHING OF WHICH THEY HAVE ZERO PRACTICAL KNOWLEDGE. I do believe the Bank would benefit more from having people with business experience decide its fate, not politicians who use it as a football. Congress should appoint a non-partisan oversight board, which would be comprised of different industry exporters and would be able to develop meaningful policies based on sound business principals and international experience exporting. Something like this exists now in an informal corporate influence network, which exists around the bank. Why not formalize it, bring it to the surface and let the business help run the bank. Most importantly, the Senate should quickly and smoothly reauthorize the bank, and get this issue off the front pages of the newspapers. This way, we shall stop embarrassing ourselves to the world with half-baked ill supported arguments and insular protectionists views of some of our less informed political and media players. Our opponents relish when America suffers and debates like this play directly into their hands. Let’s stop the circus of Ex-Im proportions and get back to business of financing exports. I hope you enjoy at least some of the articles below and welcome your comments. WASHINGTON – A vote Wednesday in the House of Representatives to pour billions into a little-known federal bank illustrates the divide among “tea party”-backed lawmakers torn between upholding anti-government principles and helping American companies compete in foreign markets. The bill, to increase the financing cap of the Export-Import Bank, passed by 330-93. The congressional Tea Party Caucus split almost in half: Thirty-seven members opposed the measure, while 31 supported it. The House vote arrived 18 months after dozens of tea party-supported candidates came to Washington, many for the first time, and it showed the challenge that politicians often face once elected: transitioning from campaigning against the government to becoming a part of it. Compounding the pressure Wednesday was the fact that the bank supports industries that are key to some tea party-backed lawmakers’ states. Boeing, for example, is the bank’s largest loan recipient, and it recently built a plant in the conservative stronghold of South Carolina. Overall, all 183 Democrats who voted supported the reauthorization, along with 147 Republicans, while 93 GOP lawmakers opposed it. With the bank’s charter set to expire May 31, the Senate is expected to take up a similar bill reauthorizing the bank for three years in the next week or two. The expansion would increase the bank’s financing cap from $100 billion to $140 billion. Scott said the measure had important revisions, among them freezing loans if the bank’s default rate exceeded 2 percent and committing the U.S. government to negotiate with other countries for decreased subsidies. Scott’s congressional district is home to the new Boeing plant, which has just started making next-generation Dreamliner 787 aircraft. Hundreds of the planes have been sold in advance to foreign airlines, with 80 percent of those sales financed by the Export-Import Bank. Freshman Rep. Mick Mulvaney said he had resisted strong pressure from Boeing lobbyists, the Chamber of Commerce, the National Association of Manufacturers and other business groups in voting against the bill. Among South Carolina’s three other Republican House members, freshman Rep. Jeff Duncan of Laurens also voted against the measure, while first-term Rep. Trey Gowdy of Spartanburg and sixth-term Rep. Joe Wilson voted for it. House Democratic Leader Jim Clyburn of Columbia also backed the bill. The legislation’s supporters said the bank made money for taxpayers as its loans were repaid with interest, with almost $2 billion returned to the Treasury over the past five years. But opponents said the bank hurt many American firms that weren’t as politically connected as Boeing. Most lawmakers in Washington state, where Boeing has large factories, and Illinois, where the aerospace giant is headquartered, voted for the measure. Many tea party-backed members who voted for the bill were influenced by House Majority Leader Eric Cantor of Virginia, who has a strong following among conservatives. Judging by Wednesday’s vote in the House to reauthorize the Export-Import Bank, which was supported by 147 Republicans, a change in direction is much needed. The willingness of Republicans to support the Export-Import Bank (Ex-Im) shows that Paul’s limited government views are needed to remind the GOP what opposition to wealth redistribution actually entails. Ex-Im is the official export credit agency of the U.S.. The mission of the Bank is to create and sustain U.S. jobs by financing sales of U.S. exports to international buyers. Clyburn also lauds Ex-Im for protecting jobs in South Carolina by encouraging foreign nations, through subsidies, to buy what these Boeing employees in South Carolina produce. It’s a win-win for Boeing who benefits from subsidies other industries do not get, and for Clyburn who can talk about all of the jobs he is protecting in South Carolina. As Cato Institute scholar Sallie James points out, however, the industries supported by Ex-Im are not really “sure bets,” and this is demonstrated by unwillingness of private financiers to fund them. Ex-Im subsidizes industries that the private sector chooses not to invest in due to concerns about their profitability, and as a result, props up otherwise uncompetitive industries with taxpayer dollars. Paul has been an ardent opponent of Ex-Im as a form of corporate welfare. In a 1997 speech, Paul lamented the resources taken from the private sector to “support the less efficient companies living on government subsidies.” Paul understands that, without Ex-Im, all companies would be pressured by the market to find ways of being profitable on their own, because they would not be able to depend on U.S. subsidized importers to buy their products. This would leave all industries in an equal position to compete and allow Americans to use their resources as they wish, and support the industries they actually believe are worth supporting. As the overwhelming support for Ex-Im among Republicans shows, a good portion of the GOP has chosen to abandon its support for American taxpayers. Republicans that supported reauthorization, such as those in South Carolina that are looking out for Boeing, have placed the interests of corporations above those of American taxpayers. The GOP, if it is truly committed to reducing the burden of taxation on Americans, should learn from Paul’s opposition to Ex-Im and stop redistributing taxpayer dollars to other nations just so their favorite corporations can be kept from having to survive on their own, all at the expense of taxpayers. Congress steadily dishes out billions of dollars in taxpayer-subsidized loans to large, profitable companies. The ordinary middle-class family is struggling to get a home loan. The ordinary middle-class family is struggling to get a home loan. Tens of thousands of homeowners have lost their homes or are struggling to make payments on their home loans. Meanwhile, Congress steadily dishes out billions of dollars in taxpayer-subsidized loans to large, profitable companies. Eighty percent of these loans, these Export-Import loans, are given to companies that are in the Fortune 500. So we’re giving taxpayer loans to very profitable companies. I’m a great believer in capitalism, in the jobs that corporations create. I defend profit and the benefit that accrues from leaving that profit large any in the private sector. I’m not one who clamors for punitive taxes, I’m not someone who thinks we need to punish corporations, but at the same time don’t construe that to mean that I believe we should be subsidizing profitable corporations. I don’t think taxpayer-subsidized loans should go to profitable companies. Now, President Obama has been passing out loans to his campaign donors. He’s been using a campaign trough that he has set up over at the Department of Energy. Very wealthy multimillionaires and billionaires are getting loans through the Department of Energy; Solyndra, Brightsource, people heavily involved in the President’s campaign have been getting subsidized loans. Republicans have been rightly criticizing the President for these loans, for these Department of Energy loans; to Solyndra, Brightsource and others. Republicans have been correct in criticizing the President for trying to pick the winners and losers in the energy production. Yet now a majority of the Republicans are poised to vote for their own set of taxpayer-subsidized loans through the Export-Import bank. In fact, they want to increase the Export-Import loans by nearly 50 percent and pick the winners and losers now in the export business. The horse traders may disdain consistency, but the American people value principled and consistent opposition to deficit financing. The American people know hypocrisy when they see it. The American people know corporate welfare when they see it. The Export-Import bank in fact provided an $18 million to a steel mill in China. Our steel industry has been in decline for decades, and I would loan $18 million to our competitors? Who in their right mind would subsidize our Chinese competitors with loans? It makes no sense. Can you think of anything more insulting than loaning money to our competitors? Well, come to think of it, I might. We actually give foreign aid to china. We actually send china economic development assistance. Is it any wonder that Congress has an 11 percent approval rating? Many Americans are trying to hang on to their homes, struggling to make their payments on their own home mortgage, while very profitable big business is being given subsidized loans by the government. It makes no sense. What gives? To add insult to injury,we are borrowing money from the same countries that we are lending the money to. So we borrow money from India, because I would run a deficit of the over $1 trillion a year, we borrow known from India and then we’re sending it back to them in the form of taxpayer-subsidized loans. It makes no sense. Ex-Im loans like the loans to Solyndra and Brightsource are simply forms of crony capitalism. With trillion-dollar annual deficits, surely we can vote to end corporate welfare. If companies are making billions of dollars in profit, can we at least end the welfare that we’re sending to these corporations? I urge a vote against reauthorizing the Ex-Im bank, and I hope my Republican colleagues will see the inconsistency of criticizing the President on one hand for his capitalism and then turning around and doing the same thing. So I support not reauthorizing the Export-Import bank, admitting it is corporate welfare and trying to save the taxpayers some of their hard-earned money. Thank you Mr. President and I suggest the absence a quorum. WASHINGTON — The House on Wednesday overwhelmingly voted to extend the life of the Export-Import Bank of the United States, siding with business groups over conservative activists who wanted Republicans to let the bank’s charter lapse at the end of May. The 330-to-93 vote is expected to propel the bill to final passage before May 31, when the bank’s statutory lending authority and its authorization expire. Senator Harry Reid, Democrat of Nevada and the Senate majority leader, said Tuesday that the Senate would quickly take up the House bill and try to pass it unchanged, obviating House-Senate negotiations on a final version. That seemingly smooth path to President Obama’s desk belies the rancor that led to the House vote. Conservative political groups including Club for Growth, Heritage Action for America and the Cato Institute have spent months denouncing the government-chartered bank as a big business boondoggle that could become the next Fannie Mae and Freddie Mac, leaving taxpayers responsible for billions of dollars in loan guarantees. With the bank’s legal authorization expiring soon, the groups appealed to Republicans up to the last minute on Wednesday, saying they had a rare opportunity to kill a government institution. On the other side, the United States Chamber of Commerce and the National Association of Manufacturers mobilized an army of business representatives to plead the case that the bank was vital to ensure financing for overseas customers. Without the bank, United States exports — one of the bright spots in the fragile recovery — would suffer greatly, they said. Amid that clash, Representative Eric Cantor, Republican of Virginia, the House majority leader, and Representative Steny H. Hoyer, Democrat of Maryland, the House minority whip, negotiated a compromise for a three-year reauthorization that would raise the bank’s lending limit to $140 billion over three years, a 40 percent increase from the current $100 billion limit that the bank has almost reached. The agreement also would mandate a series of government audits and report requirements that critics say is necessary to ensure the institution is not exposing taxpayers to great risk, and it requires the Treasury secretary to begin multilateral negotiations with finance ministers around the worldaimed at ending government export subsidies internationally. In the end, the vote appeared to show that old guard business groups still have muscle in the Tea Party era. Republicans cast all 93 no votes. But a majority of the Republican majority did vote for reauthorization. The Chamber of Commerce may have aided its cause with a wave of advertising, largely to support Republican candidates in the fall elections. Established in the 1930s to facilitate trade with the Soviet Union, the bank helps arrange financing for foreign buyers of United States exports, with deals paid for by the trading partners. Is Ex-Im Bank Another Fannie Mae Or Freddie Mac? Politics: In an unusual display of election-year bipartisanship, Democrats and Republicans have joined to renew the charter of the Export-Import Bank. Political triumph? Hardly. Ninety-three Republicans broke ranks with Speaker John Boehner, Majority Leader Eric Cantor and Majority Whip Kevin McCarthy to vote “no” on the renewal of the Ex-Im Bank. It still passed by a 330-93 vote, with 183 Democrats joining 147 Republicans on the “yes” side. This is no shining example of bipartisanship, as it’s now being hailed. The Ex-Im Bank could justifiably be called the “Political Crony Bank,” because of its use as a piggy bank for politically favored companies. Even so, not only did the House reauthorize the bank, but expanded its loan portfolio by 40% to $140 billion. Haven’t heard of the Ex-Im Bank? It’s been around a long time. It began in 1934 as a way to help U.S. companies sell to the Soviet Union, where getting paid was often a dicey proposition. In recent years, it has mostly financed and guaranteed loans on U.S. exports. Unfortunately, more recently, Ex-Im has become a political tool in President Obama’s hands, used to reward and subsidize favored companies, industries and groups. Starting in 2009, Obama ordered the Ex-Im Bank to favor green projects — and to give no money to any energy project that involves fossil fuels. Women and minorities also get loan preference. Is this “pro business”? Obama has even more changes in mind for the Ex-Im bank — including letting it make loans to domestic firms that don’t even do business overseas. This is a clear violation of the bank’s charter. And it lets the politically dominated Ex-Im bank lend to nonexporting companies on a “case-by-case” basis with no real controls. This is an open invitation to political corruption, bribes and favoritism. Worse, the House bill puts the Ex-Im Bank into direct competition with private U.S. banks — which U.S. taxpayers just finished bailing out at a cost of hundreds of billions of dollars. This makes no sense. Supporters call the Ex-Im Bank “pro-business.” In fact, it’s a subsidy machine, doling out taxpayer funds to favored companies at the expense of others. Like Fannie Mae, Freddie Mac and the newly nationalized student loan program, the Ex-Im Bank is a risky proposition. Before it goes bust, it should be closed or privatized — along with other federal programs that distort markets and favor a select few. We’re proud of the 93 Republicans who rejected the phony call to bipartisanship and voted against this. This guy is fine with putting taxpayer money at risk to subsidize Boeing and Wall Street? Yesterday, after the House voted to reauthorize the Export-Import Bank, I noted how the GOP’s anti-corporate-welfare minority is growing. Notably, Democrats are dropping their opposition to Boeing’s Bank. Not a single Democrat yesterday voted against reauthorizing Ex-Im, a federal agency that subsidizes Big Business, mostly Boeing, by guaranteeing loans made by banks — mostly big banks. A bunch (pretty liberal) Dems who opposed Ex-Im’s reauthorization when Bush was President supported it this week. Democratic congressmen Rob Andrews, Tammy Baldwin, John Conyers, Peter DeFazio, Jesse Jackson Jr., Marcy Kaptur, Jim Matheson, Jerry Nadler, Frank Pallone, Collin Peterson, Pete Stark, and Maxine Waters were all Nays in 2002 and Yays yesterday. This strikes me as another example of Obama’s corruption of the American Left. GOP BLOCKS EXPORT-IMPORT BANK REAUTHORIZATION, HARRY REID LOSES IT – The House has come to a deal on reauthorizing the Ex-Im Bank, which has been a huge K Street clusterf*&% (we have to blank that out for spam-filter reasons, sorry), but Senate Republicans didn’t want to move forward. Harry Reid, in his regular form lately: “I have been here in Congress 30 years, but this is a new one. Even bills that they agree on, they want to mess around with. In years past, this would have gone through here just like this [snaps fingers]. Forget about what took place two months ago, but now the House passed something 330-93, and we’re here playing around with it?” Reid said on the floor. “These days, the far right, the Tea Party wing of the Senate Republican caucus, I used to just talk about the House wing of the tea party, but it’s over here now — who think that everything has to be a fight, everything.” He filed cloture. The vote’ll be Monday. Senate Republicans on Thursday blocked an attempt by the Democratic majority to unanimously pass a three-year extension of the authority of the U.S. Export- Import Bank, a federal agency that helps U.S. manufacturers sell goods abroad. Republicans are demanding the right to hold amendment votes on the legislation that would seek to place constraints on the bank’s ability to provide financing assistance to exporters. Despite the political maneuvering, it is expected that an agreement will be reached between the parties that would allow votes on the bank’s extension to take place next week. The House passed the three-year extension of the bank’s mandate earlier this week, lifting its financing cap gradually over that time to $140 billion from its current $100 billion. The bank provides loan guarantees and some limited insurance to foreign companies seeking to buy U.S. manufactured goods. 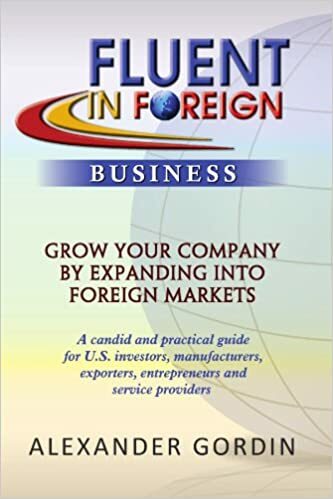 Every major American foreign trading partner operates a similar entity in their country providing assistance to domestic exporters. A bill to raise the Export-Import Bank’s lending cap 40 percent by 2014 will pass the U.S. House today, lawmakers of both parties predict, although Republican leaders aren’t formally urging members to support it. House Speaker John Boehner endorsed the measure. Still, many Republicans oppose it, saying the bank distorts free markets by subsidizing loans for export sales. The legislation, H.R. 2072, was negotiated by Majority Leader Eric Cantor, a Virginia Republican, and second-ranking Democrat Steny Hoyer of Maryland. The proposal would raise the bank’s lending limit to $120 billion immediately, $130 billion in 2013 and $140 billion by the end of the 2014 fiscal year. The bank will reach its $100 billion lending cap by the end of this month unless Congress acts, bank officials have said. The vote will be conducted through an expedited procedure requiring a two-thirds majority for passage. Republicans control the House with 292 members to 190 Democrats and three vacant seats. If all members vote, the bill will need 289 votes to pass under the streamlined procedure. Hoyer told reporters he hasn’t received assurance from Cantor that Republicans will have enough votes for passage. “My presumption is Mr. Cantor made an agreement that he believes he can pass,” Hoyer said. The Export-Import Bank, created during the 1930s in President Franklin D. Roosevelt’s administration, provides loan guarantees, insurance and loans for foreign purchases of U.S. goods and services. “We’re feeling pretty good about it,” Washington Representative Cathy McMorris Rodgers, vice chairwoman of the House Republican Conference, said in an interview yesterday. Rodgers said House leaders aren’t pressing individual lawmakers on the issue because they are concentrating on budget legislation awaiting House action later this week. Oklahoma Republican Tom Cole predicted enough members of his party would support the measure. Cole, a member of the House Republican vote-counting team, said party leaders were “confident enough to put it out there” under the fast-track procedure. “One way or another it will pass,” he said in an interview. The bill is opposed by the Club for Growth and Heritage for Action, groups that favor lower taxes and smaller government. They say the Export-Import Bank provides unfair lending subsidies that distort free-market competition. Leaders of the Democratic-controlled Senate said they would seek quick action on the legislation after it passes the House. New York Senator Charles Schumer, the chamber’s third- ranking Democrat, said in an interview that he anticipated the House measure would receive “broad support” in the Senate. Senator Jim DeMint, a South Carolina Republican who opposes the bank, said he will insist that the Congressional Budget Office conduct an analysis “of the real cost based on the real risk” of the measure. He said he may push for a vote on an amendment to phase the bank out of existence. Critics of the bank dispute its leaders’ statement that it had a $3.7 billion profit in the last seven years. DeMint and other opponents say the bank wouldn’t be profitable if market- risk costs were taken into account. Georgia Republican Tom Price said he hasn’t “detected a groundswell” of support amongHouse Republicans for the measure. The measure would require Treasury Secretary Timothy Geithner to initiate talks with other governments on eliminating export loan subsidies for aircraft. Delta Air Lines Inc. (DAL), based in Atlanta, has said the bank undercuts U.S. airlines by giving foreign carriers better credit terms to purchase wide-bodied jets. “It’s time to tackle the Export-Import Bank,” he said. A $10 Billion Bribe, or Should You Worry When Investing in Underwear? A couple of weeks ago, business headlines worldwide lit up with stories of alleged bribery at the Wal-Mart’s Mexican subsidiary and the $10 billion market value, which was wiped off Wal-Mart’s market cap by the stock market as the result of these bribery allegations. Although bribery scandals among major corporations are nothing new and a number of Global 500 companies have paid massive fines when their misdeeds were uncovered, Wal-Mart’s situation presents an interesting problem and should serve as caution to investors, exporters and franchisors whose primary line of international business is seemingly low risk when it comes to corruption susceptibility. I venture to guess that when Wal-Mart’s investors made their decisions about investing in this leading global retailer of auto parts, underwear, clothing, consumer electronics, toys, etc., few of them thought of this company as potential poster child of a $10 billion corruption scandal. Like it or not, bribery and corruption are an integral part of global business. Yes, a lot of work has been done over the last four decades across the globe to spotlight and eliminate corruption, but it is still a massive problem and a very tempting way of doing business for many companies and individuals across the world. The U.S., UK and a number of other countries have attempted to eliminate bribery in international business by declaring it illegal and imposing stiff fines and jail sentences on their individual and corporate citizens. Since international bribery is difficult to uncover and prove, enforcement often times has been focused on large spectacular cases, which result in massive deterrent public relations headlines and very stiff fines. Most of the bribery convictions and investigations have centered on what I call high risk situations where corporations, or agents acting on their behalf, paid bribes to win direct government tenders, mineral concessions or project permits. We almost never heard of say a hamburger restaurant chain or a network of coffee shops implicated in international bribery scandals. Yet, the Wal-Mart example below illustrates that no business is immune to bribery and corruption in its efforts to successfully compete and meet its growth targets. Investors, Franchisors, Business Owners, Exporters beware – any company in any line of business is potentially vulnerable to bribery and corruption overseas. Not all of them will of course become a $10 billion problem, as it did for Wal-Mart, but all have potential to wreck financial and reputational havoc. Think of an overzealous franchisee offering bribes to city officials to get favorable spaces for his/her retail boutiques, fried chicken or indoor playground chains. Think of your distributor paying bribes to customs agents in order to reduce the value of shipments and thus cost of duties paid on imported merchandise. There are plenty of opportunities for the unscrupulous who look at the short-term upside that a bribe can bring and ignore the massive long-term consequences. If any member of the Global 500 can easily cough up fines into tens or sometimes hundreds of millions of dollars, shake off the damage and slowly restore its reputation, smaller companies, whose brand most often is their biggest asset are normally not that lucky. The risks are real and any allegation scandal that hits the press, even if it never results in fines or convictions, can cripple a smaller company, or worse put it out of business. So how does one manage this potentially explosive issue? We always advise our Franchisor or Exporter clients, regardless of the line of business they are in, to conduct a comprehensive FCPA compliance review, develop a customized policy for each country they operate in and COMPEL their existing and prospective franchisees or distributors to implement such policies as part of their franchise/distribution agreements. Also, additional care must be undertaken during the relationship-building phases, especially with master franchisees, country distributors, or investment partners to observe their behavior and propensity to cutting corners and cheating. Passive investors or shareholders must take the time to inquire with the management about the anti-corruption policies and procedures in place. Management should supply shareholders copies of the FCPA policies and account for all potential risks. If management refuses, or does not take the risks seriously, run. There are plenty of companies who represent terrific prospects for investment abroad and those who do not realize or take seriously the fact that even an underwear-carrying retailer is at risk for bribery and corruption scandal should not be on your shopping list anyway. Wal-Mart‘s WMT -0.49% Mexican crisis is a $10 billion problem. At least that was the stock market’s first take. Investors wiped that amount of the company’s market capitalization following allegations in the New York Times of bribery at its Wal-Mart de Mexico subsidiary. At first glance, the 5% share price fall looks harsh given that Wal-Mart’s 69% stake in the subsidiary generated about 5% of its sales last year. The business is not about to vanish overnight. But investors are right to be cautious. First, the international business, of which Mexico is a key part, helped Wal-Mart boost sales by an average of 5.2% annually over the last five years. The U.S. business grew only 3.2% a year. Wal-Mart’s ability to expand further in Mexico might now be affected. Hobble Wal-Mart’s international operations and it is left with a U.S. business that competes with the Internet and has become increasingly reliant on a low-margin grocery business. Second, the allegations threaten to soak up huge amounts of management time at best. At worst, some key executives could be forced out, creating uncertainty. Third, the company could face substantial penalties. Consider: In 2008, Siemens AGSIE.XE -1.86% agreed to pay $800 million in U.S. fines to settle bribery allegations under the Foreign Corrupt Practices Act. The Justice Department said it could have sought as much as $2.7 billion if the German industrial conglomerate hadn’t taken “extraordinary” steps to cooperate with authorities. In addition to that, lawyers’ bills can quickly mount. The value of Wal-Mart’s stake in its Mexican subsidiary fell by $4.8 billion Monday. The extra hit to the retailer’s U.S.-listed stock is a reflection of quite how unpredictable such legal threats can be. Wal-Mart Stores Inc. WMT -0.49% shares fell 4.7%, erasing nearly $10 billion in market value on Monday, amid concerns a bribery investigation in Mexico would undermine its overseas expansion. Meanwhile, a pair of top House Democrats announced an investigation into allegations that Wal-Mart’s Mexican subsidiary paid bribes to speed permits for new-store openings. Shares of Wal-Mart de Mexico SAB, or Walmex, tumbled 12% Monday in Mexico. Wal-Mart faces significant legal risks after it disclosed that it is investigating its operations in Mexico for possible violations of the U.S. law that prohibits bribery in foreign countries. Miguel Bustillo reports on Markets Hub. Photo: Reuters. Reps. Elijah Cummings (D., Md.) and Henry Waxman (D., Calif.) are seeking an in-person meeting with company officials this week to address the allegations that employees of Walmex made a series of illicit payments to local government officials in Mexico prior to 2006. Mr. Cummings and Mr. Waxman are the top Democrats, respectively, on the House Oversight and Government Reform and House Energy and Commerce committees. Wal-Mart, which said over the weekend that it is investigating the charges, didn’t immediately comment on the investigation. As members of the minority party, the lawmakers need Republican support to hold a hearing or to subpoena Wal-Mart. Spokesmen for Rep. Darrell Issa (R., Calif.), chairman of the House Oversight Committee, and Rep. Fred Upton (R., Mich.), chairman of the House Energy and Commerce Committee, didn’t immediately respond to requests for comment. It is still to be seen whether there will be an official backlash against Walmex, the leading Mexican retailer. Mexican Finance Minister Jose Antonio Meade told reporters over the weekend that there isn’t sufficient information at the moment to launch an investigation, but that the government will decide how best to proceed once it has more details. Walmex Chief Executive Scot Rank said in the company’s earnings statement Monday that “for the company, having the highest regulatory standards and an adequate environment of control is fundamental to achieve its objectives.” Mr. Rank didn’t mention the bribery probe during a conference call. Walmex opened 95 new Mexican units among its various business formats during 2005 in what was, at the time, a record number of store additions for the company. Last year, Walmex opened 365 new outlets in Mexico; the company also runs restaurants. Mexican financial-markets regulator CNBV had no immediate comment on whether it is considering fining Walmex for lack of disclosure. Walmex said in a statement Monday that, while it can’t predict the full impact of the investigation, based on information currently available it doesn’t believe the issue will produce “adverse effects” for its business, financial situation, results or cash flow.